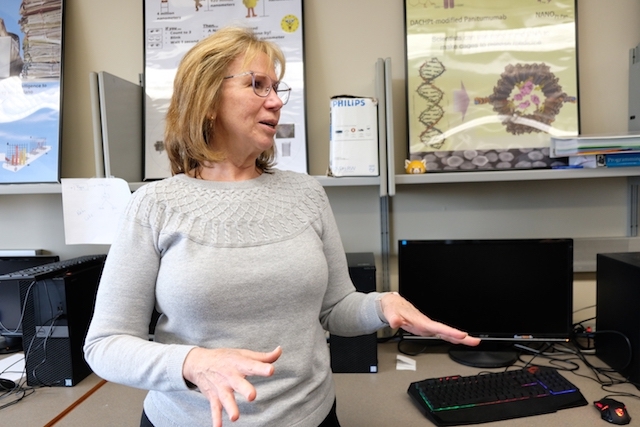 VCU's Debra Duke says computer science faculty recruitment is becoming increasingly difficult. When it comes to major economic development deals, a handful of legislators have a say early on in negotiations. Five members of the House, and three members of the Senate are on the Major Employment and Investment (MEI) Project Approval Commission. The commission was designed to be a microcosm of General Assembly input. Republican Senator Frank Ruff and Democratic Delegate Matthew James are members. They publicly endorsed the commission’s largest project yet a couple of months ago, when Virginia Governor Ralph Northam announced that Amazon was indeed coming to Virginia. Northam: We have a robust workforce that includes one of the strongest pools of tech talent in the nation. That tech talent has played a big role not only in attracting Amazon to Virginia, but also in promises to the company to grow that talent. Stephen Moret runs Virginia’s Economic Development Partnership. He was at the table during negotiations with Amazon. Moret: Where we really tried to distinguish ourselves was in talent and really not just the talent that's already here, but investing in higher education to build that talent pipeline for the future. But recruiting faculty into these fields isn’t easy, especially given that private or public sector jobs pay up to three times the salary of a professor. Debra Duke is undergraduate computer science director at Richmond’s Virginia Commonwealth University. Duke: When we do hire good people, we feel very, very fortunate because the demand for computer science faculty all over the country is very high. She says the department hasn’t had a hard time recruiting faculty….yet. But she admits they’ve taken a creative approach. Duke: We have one position open, but there were two people that we really loved. It was a tough decision and our department chair went to the Dean and said, you know, we have these two people and we really wish we could have them both. And we get the second position approved, and that's why we have Dr. Budwell. Professor Caroline Budwell says it wasn’t an easy decision to leave her private-sector job as a business analyst. Budwell: I left a very lucrative job in the industry, but it was more for the flexibility and the challenge of teaching. Governor Ralph Northam has penciled in $8.3 million for the tech talent investment fund in next fiscal year’s budget. But that’s still subject to approval from the full legislative body…along with all of the other Amazon-related incentives.